Looking for a warm-weather escape where you can get your fill of succulents and cacti? Arizona is home to the Sonoran Desert and an incredible variety of cacti and other drought-loving plants. The unique climate has created the perfect environment for plants such as the Saguaro Cactus, which can only be found in the Sonoran Desert. The warm, dry summers and mild winters make it an ideal climate for succulents and cacti alike. It’s also perfect for people who prefer sunshine over snowflakes. These four cities are perfect for succulent lovers looking for the ideal vacation destination or a new place to call home. 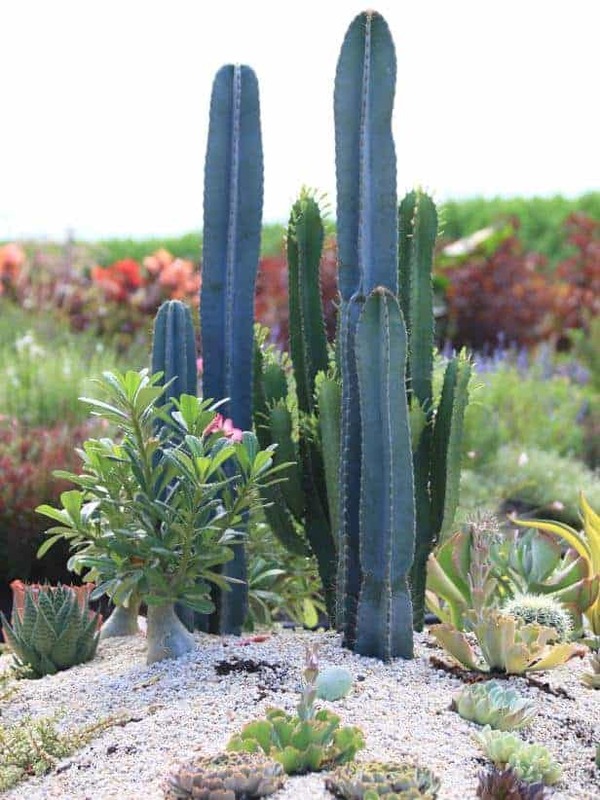 See these spectacular cacti and more at the Desert Botanical Garden in Phoenix. Arizona’s capital city is a succulent lover’s paradise. Take a drive around the city and you’re sure to see plenty of cacti and succulents used in local landscaping projects. Phoenix is also surrounded by desert terrain, so if you’d like to see the local foliage up close, check out one of the many hiking trails of Maricopa County. Camelback Mountain and Piestewa Peak are popular hikes within the city limits, but there are plenty of other options in all areas of the city. If you’re interested in seeing the local flora without straying too far from the city, the Desert Botanical Garden is just what you’re looking for. With daily tours and seasonal exhibits, there’s always something new to see. The Garden also offers cacti and succulent care courses through their Desert Landscaping School. Contact the Central Arizona Cactus and Succulent Society and you’re sure to walk away with a few new succulent loving friends. The group meets monthly and members often bring in cuttings from their own plants to share with others in the group for free. They also hold regular silent auctions for plants and presentations about topics relating to succulents, cacti, and the group’s experiences with these types of plants. After seeing everything that Phoenix has to offer, you’ll probably be inspired to add a few new desert plants to your garden. The Phoenix Desert Nursery has a huge selection of native succulents and cacti, as well as non-native plants that thrive in the desert environment. Old West Cactus Farm and Moon Valley Nurseries are also great places to find new and interesting desert plants. Visit Yuma in the Spring to see the cacti bloom. Located in southwestern Arizona and overlooking the Colorado River, Yuma is a desert haven for fans of succulents and cacti. The frost-free winters make the city an ideal place to grow succulents, both indoors and out. If you’re interested in checking out the native vegetation, the Yuma Conservation Garden covers 28 acres of gorgeous desert landscape. The Garden features hundreds of native species, including the Saguaro Cactus. It’s a great place to experience the desert landscape and tours are available upon request. Since shopping for succulents is probably a priority during your time in Yuma, be sure to check out all of the great nurseries in the area. The Classy Cactus Nursery is one of the best places in town to find cacti and succulents. They specialize in providing plants for landscaping, so if you’re interested in larger plants, or those that can survive outdoors under the Arizona sun, this is the place to be. Yuma Nursery Supply is another great place to find native vegetation to add to your own garden. Their staff is knowledgeable about every species they carry, so if you need a little advice, don’t hesitate to ask. They also carry gardening and nursery supplies, so pick up some soil or new containers while you’re there. Tucson is the perfect place to see gorgeous succulents and cacti. Nestled in southeastern Arizona, Tucson is a gorgeous and bustling city that’s perfect for succulent lovers. There are endless opportunities in and around the city to experience the joy of succulents and cacti. Don’t miss the beautiful scenery of the Sonoran Desert in the nearby Saguaro National Park. Saguaros aren’t the only cacti you’ll see there. You’ll also find Prickly Pear, Barrel Cacti, Teddybear Cholla, and more. You can hike or camp in the park, or simply drive through on one of the scenic routes through the parks. 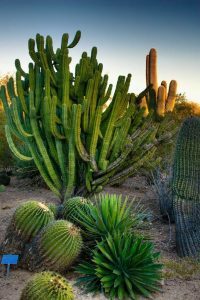 If you prefer your cacti to be within the city limits, Tucson Botanical Gardens is a cacti lover’s wonderland. Located on over five acres, the Garden features 16 different gardens, including a Xeriscape and Prehistoric Garden. In addition to seasonal exhibits, the Garden also offers classes on gardening, nature, and ecology. When you’re ready to buy your souvenirs, head over to B & B Cactus Farm. They have a huge selection of succulents, cacti, and everything you need to take care of them. Bach’s Greenhouse Cactus Nursery and Mesquite Valley Growers Nursery are also great places to find new and interesting plants. Succulent lovers who enjoy a little luxury will feel right at home in Scottsdale. 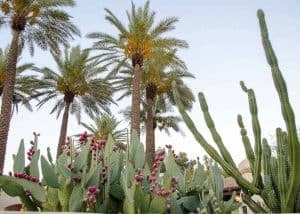 If you’re looking for a little luxury, Scottsdale is an ideal location for succulent lovers to experience the wonders of the desert. The city boasts a wide variety of luxury hotels, spas, and eateries, but there are plenty of places to see the beauty of the Sonoran Desert as well. If hiking, biking, or horseback riding while surrounded by giant Saguaros interests you, the McDowell Sonoran Preserve offers over 30,000 acres of unparalleled desert beauty. It’s the perfect place to see native succulents and cacti in their natural environment, and you can even attend guided hikes and presentations to learn more about the plants that call the Preserve home. Once you’ve finished your sightseeing, you can check out the offerings of North Scottsdale Nursery and Cactus. With a huge selection of dry weather loving plants, they also offer landscaping and gardening supplies, as well as local delivery and installation. Just north of Scottsdale, you’ll find the Desert Foothills Gardens Nursery, where you’re sure to find the succulent or cactus of your dreams. If your garden needs a few accessories, you can also find containers, fountains, and even sculptures. 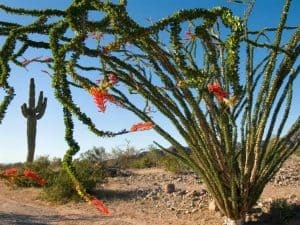 The beautiful and unique landscape of the Sonoran Desert in Arizona is the perfect getaway for fans of succulents and cacti. Some plants, such as the giant Saguaro Cactus, can only be found here. If you’re passionate about desert plants and love warm weather, you just might decide to stay. Whether you choose Phoenix, Yuma, Tucson, or Scottsdale, you’re sure to find plenty of fellow succulent lovers. If you picture your perfect succulent paradise being closer to a beach, check out California!